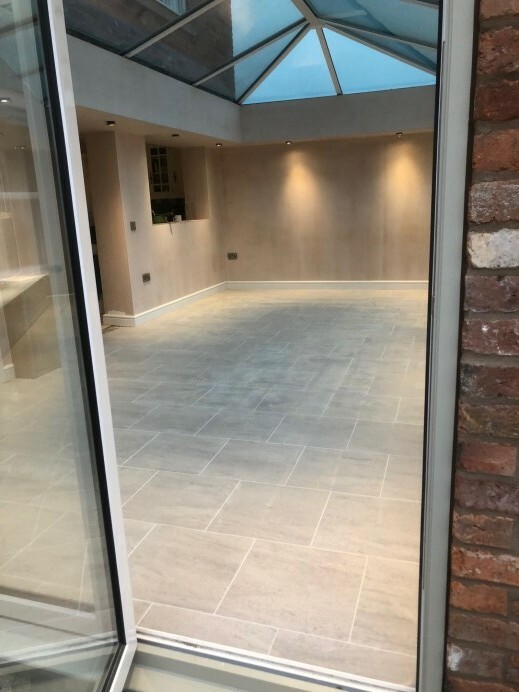 When people come to us asking about what options are available to them for their orangery build, so they will be able to create their dream space to use all year round. 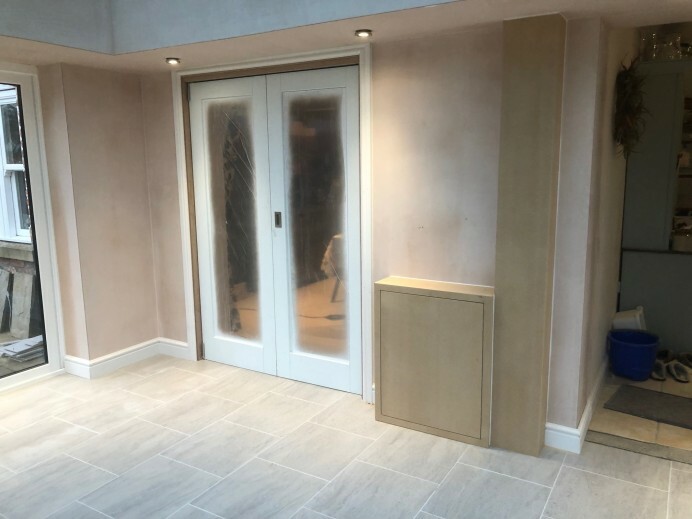 To provide as much flexibility in regards to design as possible, we make sure that our customers can choose from a large range of doors, windows, and overall colours so aesthetically the orangery will match the customers idea. 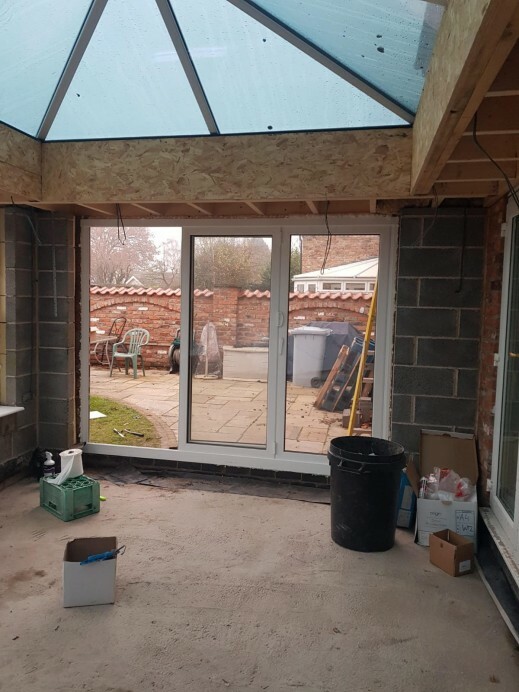 To help the customer visualise their idea as well, by being provided a picture of the space where the customer wants their new orangery, our team are able to provide our customers with an image of their future extension attached to their home so that they can see how certain colours, and brickwork, will match with the rest of their home.With this customers project, they knew what the size they wanted their orangery, the number of windows, and the kind of doors they were wanting but were undecided about what type of colours to incorporate into the build. 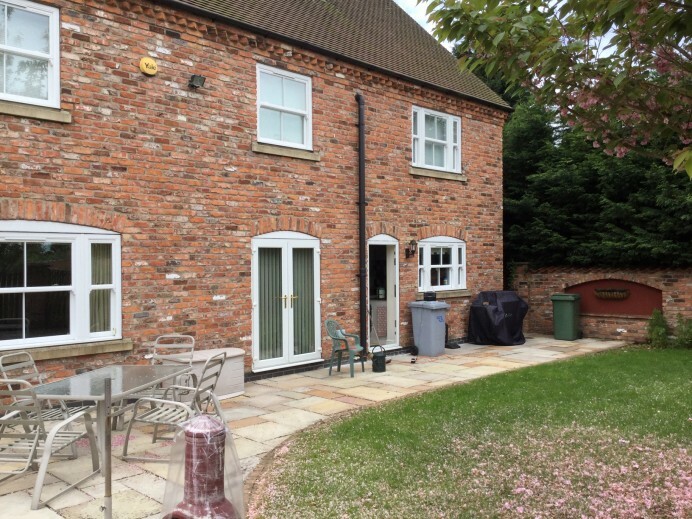 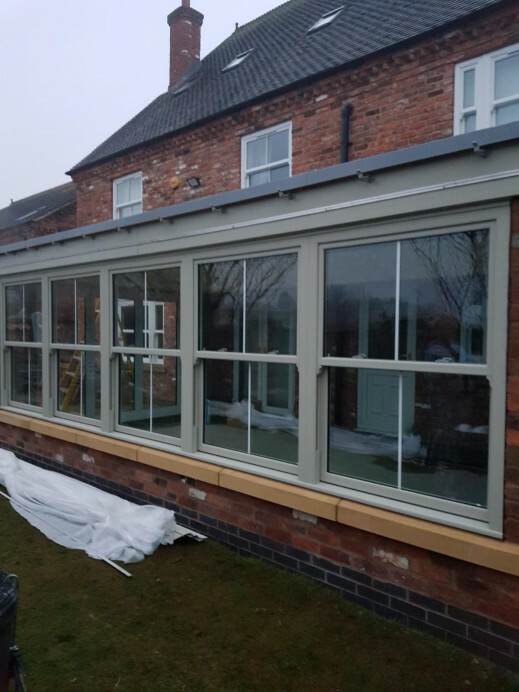 With this being the case, we asked the customer to send in a picture of the back of their home, which we then sent to the customer with the same design of orangery, with three different colour finishes, these being anthracite grey, white, and pebble grey. 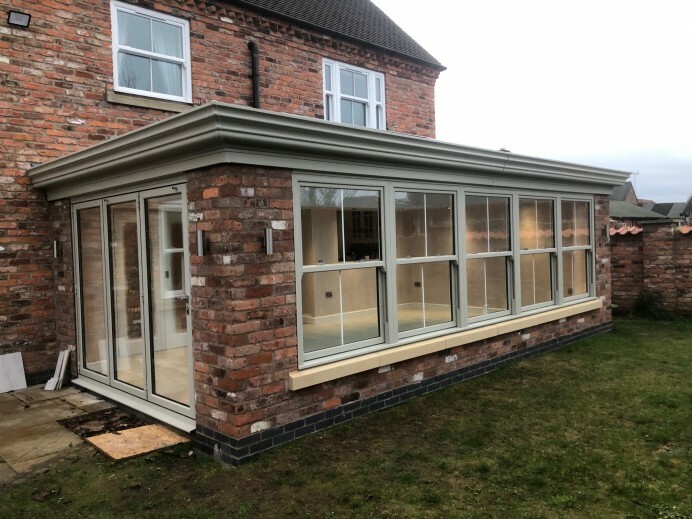 After seeing each image, the customer requested to have their orangery built to resemble the pebble grey design we provided, and as you can see from the images, we did just that.